Kevin McAlester's documentary about pioneering Texas psychedelic rocker Roky Erickson should not be mistaken for a film about an artist; it's not really the story of The 13th Floor Elevators, though such ground is covered in an obligatory manner. It's more specifically a study in uninstitutionalized mental illness, focusing on the relationship between Roky, a diagnosed schizophrenic in his late 50s at the time of filming, and his "independent living" dependency on his eightysomething mother Evelyn -- a yoga-practicing Christian, disappointed singer, folk artist and wife, whose own feelings about medication denied her son access to treatment for his condition for many years. The film uncomfortably probes into the details of the family's dysfunction and Roky's living arrangement with his mom until youngest brother Sumner petitions for the legal right to become Roky's legal guardian and move him away from Austin to his own retreat in Philadelphia. It's hard to watch the film and not suspect that, on some level possibly unknown to herself, Evelyn was punishing her celebrity son for sacrifices she made which resulted in her own lack of success. Whatever else she might be, she is clearly a passive-aggressive narcissist, shown assembling a ramshackle visual display of her "story" by affixing precious family photographs to sheaves of glued-together cardboard, and presenting in court an artwork that depicts her as a face surrounded the tear-stained faces of five sad sons, with hers apparently punched-in. 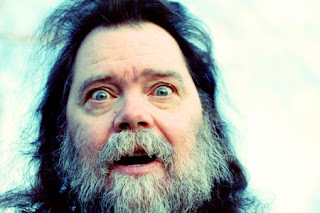 The scenes with Roky -- showing him turning on a barrage of electric appliances and electronic toys and gizmos to create enough cacaphony to silence the voices in his head so that he might grab some sleep, confusing a Mr. Potato Head with a dog's ball, and amiably reading off a litany of his junk mail to a British biographer who's travelled halfway around the world to meet him -- are tragic, showing him utterly isolated from the gift that brought him his only means of escape from himself. One feels frankly not much better for Sumner (shown weeping in session with a motherly therapist he's been seeing for a dozen years), who despite apparent professional success as an orchestra tuba player, has fled his mother cross-country only to live in a house next door to his father. The house looks, almost frighteningly, like an adult playpen. The movie left me feeling torn between wanting to douche my memory with some 13th Floor Elevators albums and never wanting to hear them for a good long while.